Before debuting on the PowerShares Series in Los Angeles, Pete Sampras talked about Roger Federer, the man who took away the record for most Grand Slam wins from him. The 14-time grand slam champion said, "I think Roger is the most complete tennis player I have ever seen. He won on all surfaces. He moves well. He has a fantastic tennis. He has a phenomenal forehand. He has everything. "I think he has dominated the tennis more than I did. If we look at all his numbers, we have to admit that he is the best tennis player we have ever seen. He can do many things on a tennis court and on different surfaces. He can attack or be on the baseline. He is an ambassador of the court." The Swiss has not won a Grand Slam since 2012. Speaking about this, Sampras said, "When one get older, it becomes more difficult. Roger is 33 years old. He is on the circuit for a lot of years and the bad days are more frequent. It happened against Andreas Seppi in Australia. I also lived it. Travelling and recovering from jet lag becomes more complicated. Many tennis players retired when they reached 30 years. "Jimmy Connors was the only one who continued well beyond 30 years. 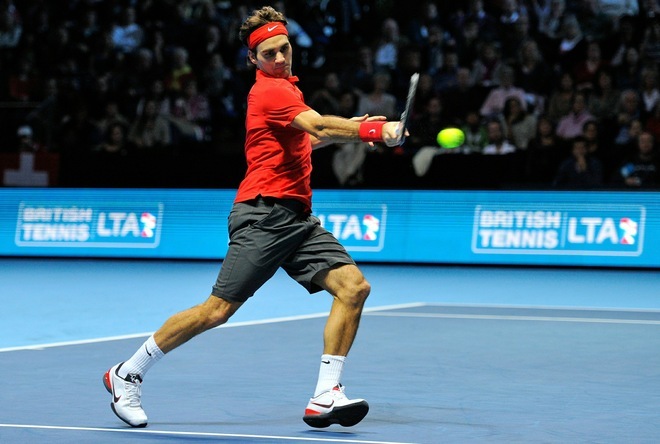 Roger still wants to play, loves this sport and has the right to do what he wants."